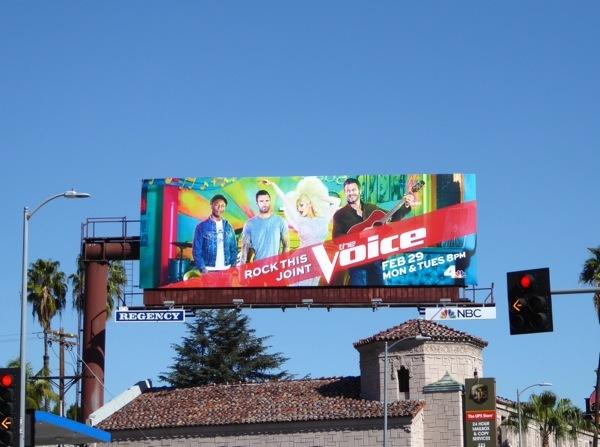 The boys are back in town and with the help of returning original coach, Christina Aguilera (and her massive hair), they're going to rock this joint for the tenth season of The Voice. 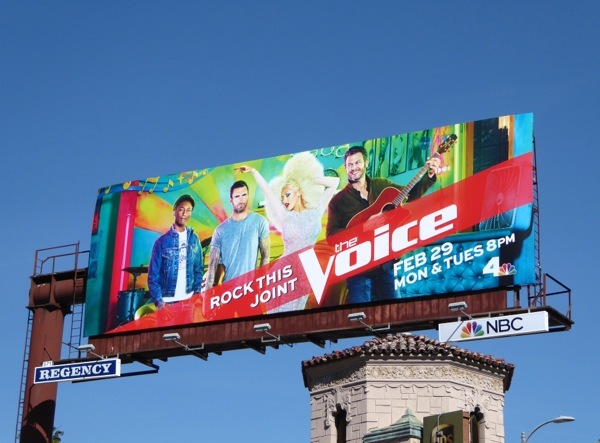 It's time for Pharrell Williams, Adam Levine, Blake Shelton and Xtina to select another group of singing hopefuls by pushing their magic red buttons and mentoring them through weeks of competition in the reality talent competition. 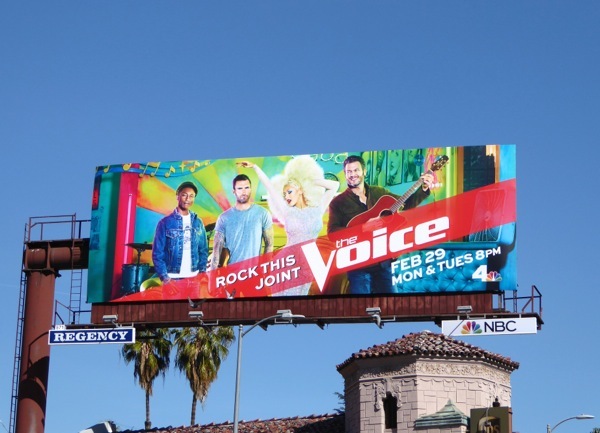 This vibrant season ten billboard was photographed above Sunset Boulevard on February 3, 2016, and if you're a fan of the show, be sure to check out all of the previous nine season promo billboards for The Voice (U.S. version) from 2011 to date. 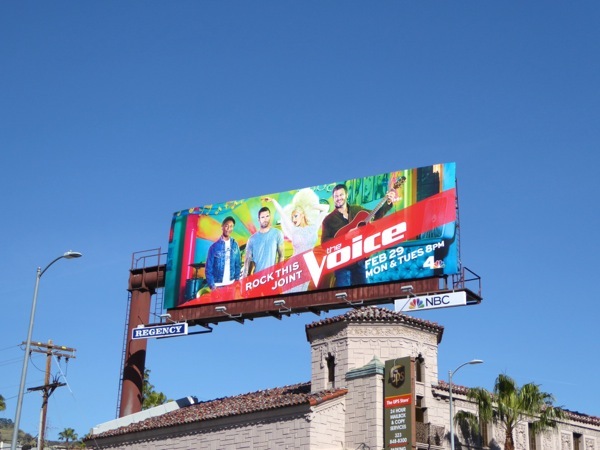 And don't despair, even though she's not in the hot seat this season, we're sure Gwen Stefani will be back at some point to flirt with her current beau Blake Shelton and offer her mentoring skills to the contestants too. And would it be too much to ask for two or more female coaches in future seasons? 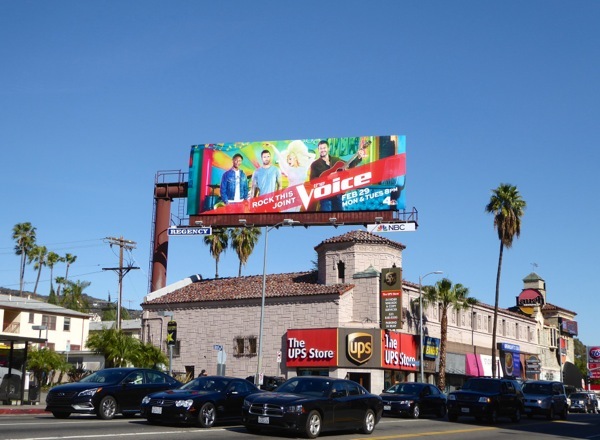 It's been ten seasons already and considering all the available divas out there, there's more than enough talent to take up more chairs?